Liz Buhai-Jacobus Psy.D. (Oak Park) - Book Appointment Online! My name is Liz Buhai-Jacobus, and I have practiced psychology in Illinois for more than 25 years. I specialize in working with individuals who come from highly dysfunctional families including adult children of alcoholics, or having a mentally ill or abusive parent. Growing up with these issues has a huge impact on one's self-image, often resulting in considerable anxiety and depression. I utilize Cognitive Behavioral Therapy and Mindfulness to address problematic thinking and behavior, and a psychodynamic approach to relate how the past impacts the present. 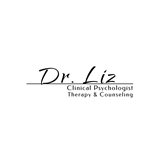 For more information go to www.therapywithdrliz.com I have a Doctorate in Clinical Psychology and a Masters degree in Community Mental Health. I am a member of the American Psychological Association, including the Clinical Psychology Society. I have been a licensed psychologist in Illinois since 1992 practicing in Cook County. Dr. Liz really understood what I was going through and offered a lot of options and practical advice. As my first time with a psych, I appreciate how the session was light but intensive.